Lincoln University and UC have signed a memorandum of understanding confirming the intention to jointly develop and offer qualifications in Disaster Risk and Resilience (DRR). The DRR programmes will allow students to access the complementary knowledge and expertise of each university, both have which have experienced and learnt much from the Canterbury Earthquakes of 2010 and 2011. Students can undertake a Master of Disaster Risk and Resilience, a Postgraduate Diploma in Disaster Risk and Resilience, or a Master of Applied Science in Disaster Risk and Resilience. 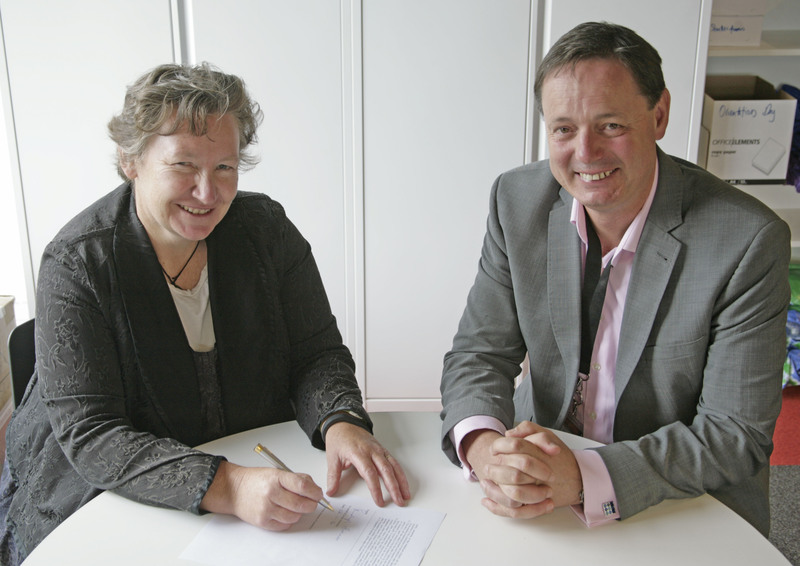 Lincoln University Deputy Vice-Chancellor Academic Quality and Student Experience Sheelagh Matear and UC’s Dr Hamish Cochrane Deputy Vice-Chancellor (Academic), signing the memorandum of understanding. Get your 2016 parking permit today! A reminder that from Monday (1st Feb) you’ll need a 2016 parking permit to use UC parking lots. Don’t get caught out – get your permit today! With the 2016 academic year not far away, students are starting to visit the campus. Don’t forget when talking to students to ask them where they’re off to next and point them in the right direction. Or to do the same if you come across anyone looking lost! If you can’t help them out, send them to the friendly information team at the bottom floor of the Matariki (formerly called Registry) building. Other ways to make new students feel welcome include volunteering to help out at Orientation Day. All Windows 7 staff computers will have Internet Explorer upgraded from version 10 to version 11. This work will begin Thursday 28 January 2016, and should occur overnight when you are not logged in. If you have not already installed this upgrade by 1am Tuesday 2nd February, then an installation will be forced at this time. If you find your computer has not upgraded successfully, please contact the ICT Service Desk in the first instance. 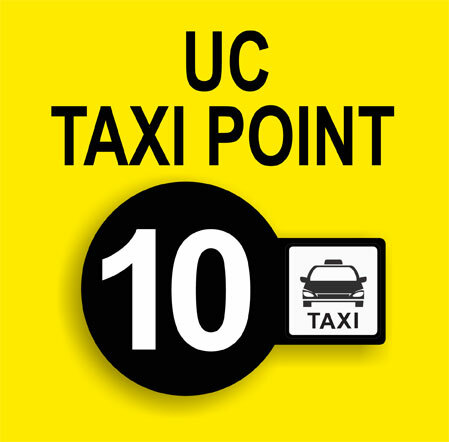 You may have noticed some new taxi point signage around the UC campuses – there are 13 in all, ten on Ilam and three on Dovedale. The UC Procurement Team have negotiated an arrangement with four preferred Christchurch taxi companies with significant benefits for the University, UC staff and their families. Benefits include reduced rates and set fares for frequent journeys like UC to the airport. All a user need do when ordering a taxi is to quote the number of the taxi point they are waiting at, and have UC identification, such as a Canterbury card or UC Taxicharge voucher, on hand when the cab arrives. The location of the taxi points can be found on all printed and on-line campus maps and on postcards available from procurement@canterbury.ac.nz . Information on the different features offered by the preferred suppliers is available on the intranet.